Imagine a history lesson that goes beyond a classroom, but actually immerses you front and center of the topic and provides tasty snacks and refreshing cocktails to boot. Columbus Eats Food Tours does just that and so much more. Owned and operated by Shannon Zimmermann, a certified Food Tour Pro, this food tour gives visitors a taste of what locals are fortunate enough to experience every day. With a customized walking tour of Uptown Columbus, featuring food samples created by local chefs, specialty cocktails and drinks, you’ll get a peek into local culture like never before. The Loft: Live entertainment is a Friday night staple at The Loft, so there’s a chance you’ll experience some artistic talent during your visit! The lively atmosphere, friendly staff and creative libations are sure to promise a good time. Scruffy Murphy’s: An authentic Irish pub and restaurant, Scruffy Murphy’s offers up a varied selection of Irish beers and cocktails to be enjoyed along with live music featured every Friday and Saturday evening. The interior embraces elements styled after old world pubs, and it’s a great place to kick back with a brew and enjoy the evening. Nonic Bar & Kitchen: Also featured as a stop on the #ColumbusEats Uptown Food Tour, Nonic Bar & Kitchen is popular for its craft beer bar with 32 unique draught beers that are regularly rotated out to make room for new selections. 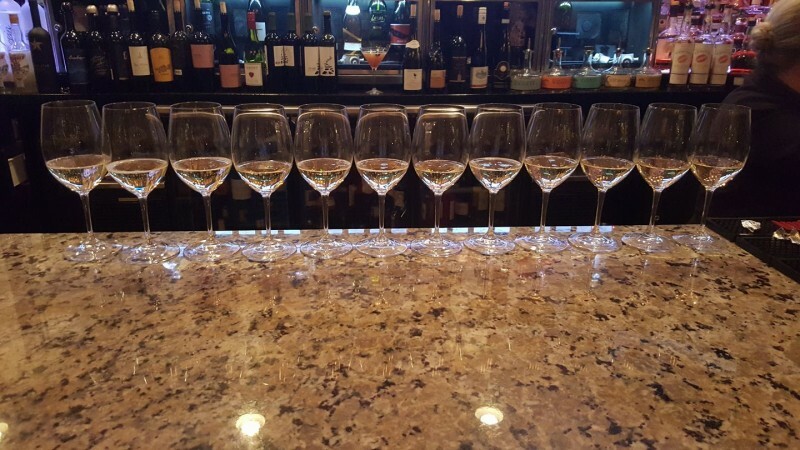 With multiple pour sizes and varied flights available, this tasting location is sure to be a favorite! My Boulánge: This delightful cafe will greet you with the scent of freshly baked pastries and breads, enticing you to have a seat at their coffee bar for an expertly-roasted cup of java. A selection of wine and cheeses is also made available, and your guide will ensure that you are provided with a taste of the best that My Boulánge has to offer. Ride On Smoothie Bar: A small, locally-owned business run by a brother/sister duo, this smoothie bar is stocked to the brim with healthy, cold-pressed juices and smoothies made with quality organic ingredients. Always friendly and welcoming, this will be a refreshing stop on the tour! Momma Goldberg’s Deli: Family and veteran owned and managed since 1976, Momma Goldberg’s Deli is a local staple serving up fresh sandwiches, soups and salads in a fun, friendly atmosphere. Favoring the “old school” deli experience, patrons are invited to select from a menu of local favorites or build their own creation from scratch! Meritage: Meritage’s menu selections reflect a melting pot of American regional dishes with classic European preparation techniques and a handful of southern flare thrown in for good measure. Family owned and operated since 2004, owner Faye Simmons has encouraged a casually elegant, warm and friendly atmosphere, treating everyone who walks through her door like family. Nonic Bar & Kitchen: Loved by locals and visitors alike, Nonic Bar & Kitchen is popular for its shareables, small plates and charcuterie boards - often enjoyed with one of the 32 craft beers they have on tap. With offerings of sandwiches, salads and burgers to accompany their smaller options, returning to give everything a try is a must. Kilwins: Nationally recognized and universally loved, Kilwins caters to sweet tooths everywhere! Handcrafted fudge, caramel apples, chocolate covered pretzel rods, truffles, creams, caramels, and more make up a list of irresistible choices that your tour guide has thoughtfully curated into a handful of tasting options designed to delight the senses. More information regarding these tours can be found on the Columbus Eats website, www.columbuseatsfoodtours.com. Make sure to photograph your experience and share it with your friends, tagging #ColumbusEats to encourage further support these local businesses.